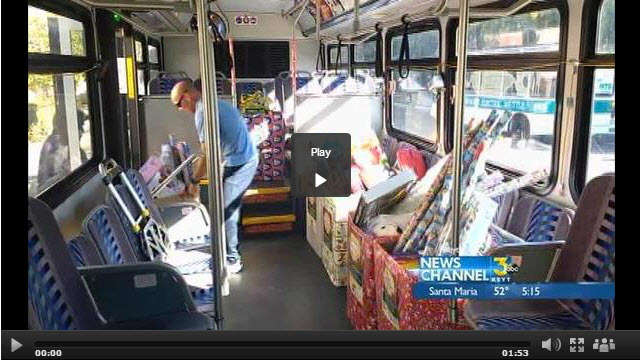 Peoples' Self-Help Housing Stuff the Bus Parade will be making its way down State Street in Santa Barbara today collecting toys from local retailers. The gifts collected today will go to children ages 0-11 living at the PSHH's affordable housing properties. Scheduled stops include: Community West Bank, Starbucks, Montecito Bank & Trust, Hotel Santa Barbara and Marshalls. The gifts will go to more than 400 children from low-income families. Copyright © 2015 NPG of California, LLC. All rights reserved. This material may not be published, broadcast, rewritten or redistributed.